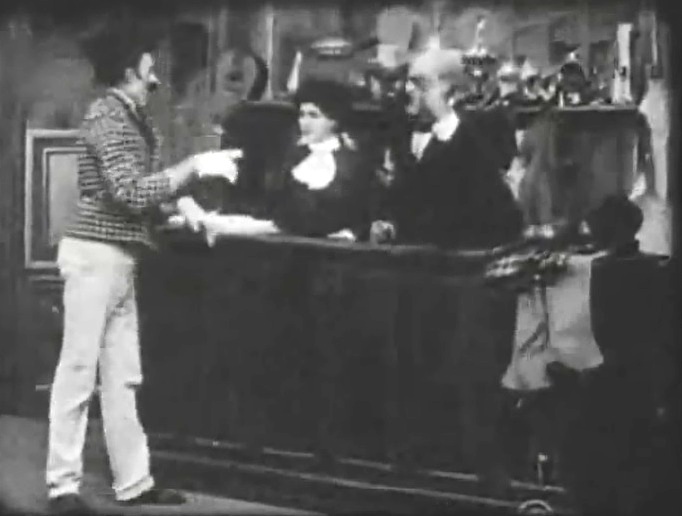 "Romance of a Jewess" is a short drama. The film is included in our program to illustrate the work of two of our stars: actress Florence Lawrence and cinematographer Billy Bitzer. Arthur Johnson has a small part as a bookstore customer. Florence Lawrence rejects her father's choice for her husband in favor of the man she loves. Her father loses control, kicks her out of his house and banishes her from his sight. Years later the old man realizes his mistake and wants to make amends, but it is too late. Reviewers in IMDB mention that Florence Lawrence's man is an Indian and this is the reason for her father's rejection. However, there are no title cards supporting this hypothesis. 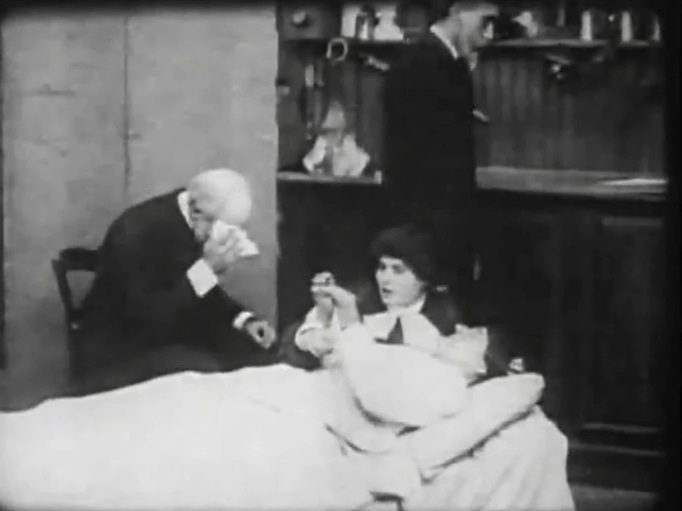 Florence Lawrence suffers by her mother's deathbed in "Romance of a Jewess" (1908), directed by D. W. Griffith, cinematographer Billy Bitzer. 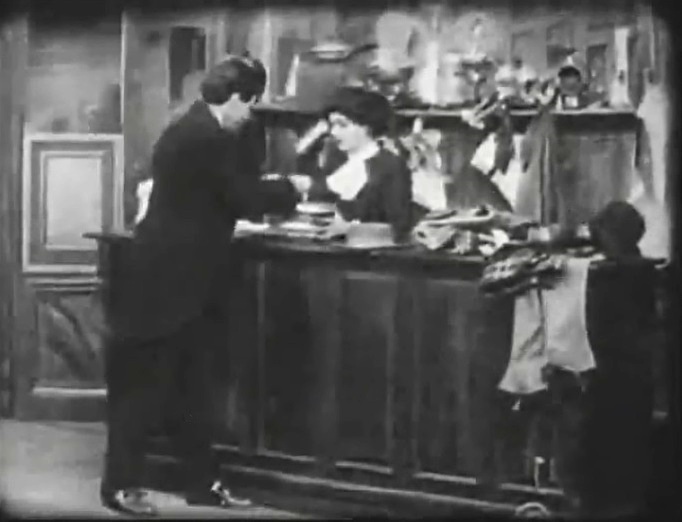 Florence Lawrence helps in her father's pawnshop as Mack Sennett walks in for some cash in "Romance of a Jewess" (1908), directed by D. W. Griffith, cinematographer Billy Bitzer. 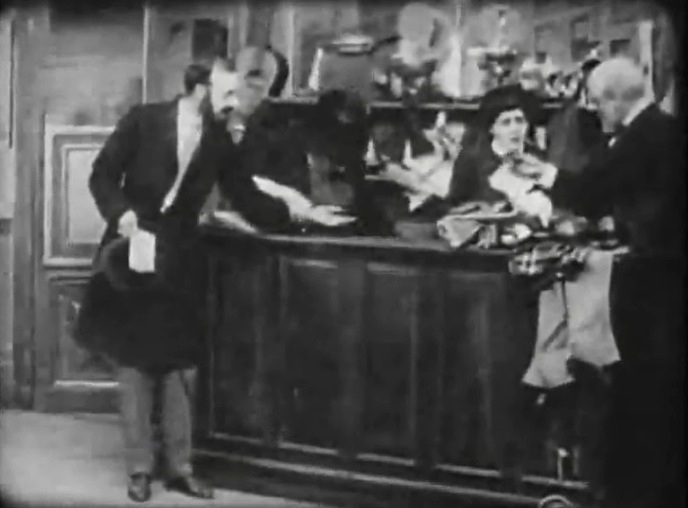 Florence Lawrence meets George Gebhardt in a love at first glance in "Romance of a Jewess" (1908), directed by D. W. Griffith, cinematographer Billy Bitzer. Florence Lawrence is not impressed with her father's choice for her husband in "Romance of a Jewess" (1908), directed by D. W. Griffith, cinematographer Billy Bitzer. 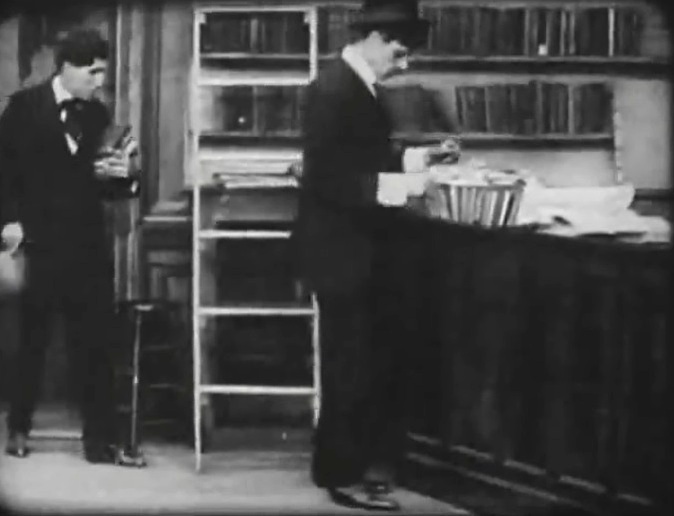 George Gebhardt welcomes a customer (Arthur V. Johnson) to his bookstore in "Romance of a Jewess" (1908), directed by D. W. Griffith, cinematographer Billy Bitzer. 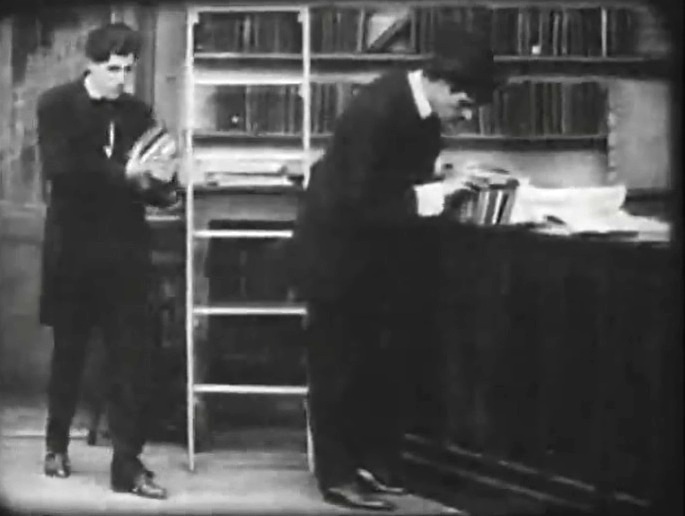 Arthur V. Johnson checks some books in "Romance of a Jewess" (1908), directed by D. W. Griffith, cinematographer Billy Bitzer. 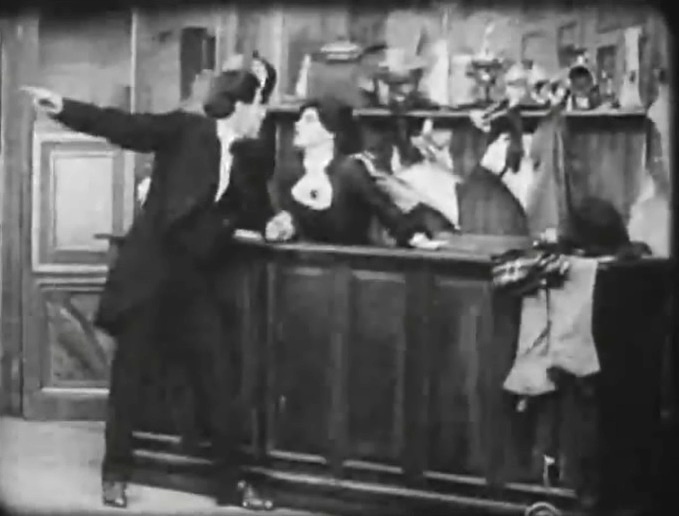 Florence Lawrence and George Gebhardt discuss doing things together in "Romance of a Jewess" (1908), directed by D. W. Griffith, cinematographer Billy Bitzer. 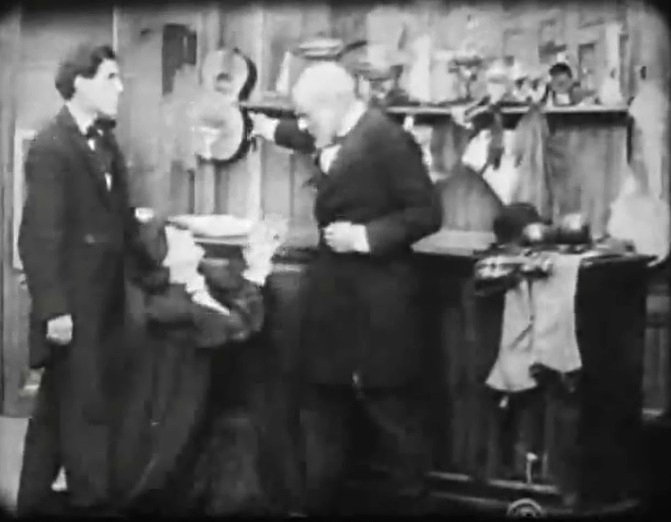 Florence Lawrence pleads her father in vain as George Gebhardt looks on in "Romance of a Jewess" (1908), directed by D. W. Griffith, cinematographer Billy Bitzer. 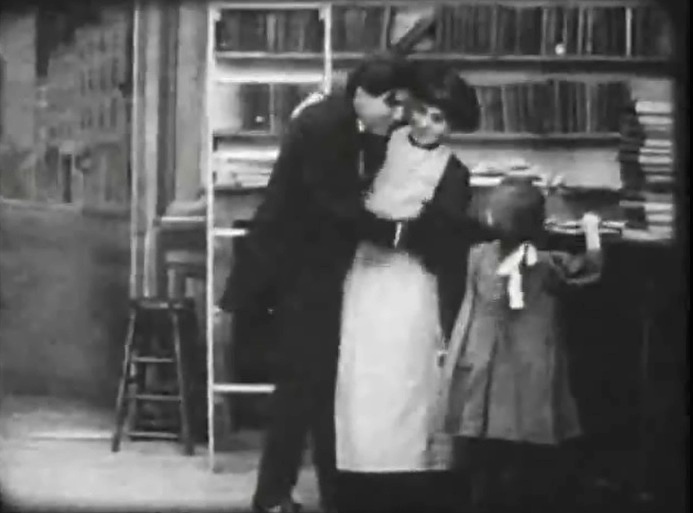 Florence Lawrence and George Gebhardt are a happy family raising a daughter (Gladys Egan) in "Romance of a Jewess" (1908), directed by D. W. Griffith, cinematographer Billy Bitzer.